Latest UFO sighting – Orange UFO/Orbs recorded over Geneva Texas on February 16, 2010 between 7 pm and 10 pm. Most recent UFO sightings. new ovni footage. Images – 2012 apocalypse. nlo. 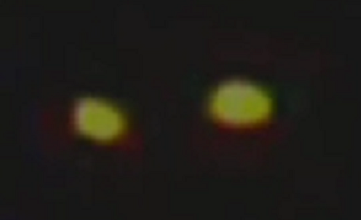 “Orange orb Lights in sky 16 Feb 10 from 7-10 pm. Just like the people that saw this in Vernon Lake in Louisiana. They got pics and I got some video, hope they get to see this. Walked outside of our home and saw an orange looking orb to the east from HWY 21 in Geneva TX…went back in and got my camera and my wife and got some video. This thing would fade out for a long time and then the light might be 1 or 2 and then fade again. I waited and filmed what I could from about 7 pm until about 10 pm. The videos are shaky because I am free holding the cam and not on a tripod. I think that the best video on here is 4285 (in the middle of the video) when a truck passes our home and it helps to see how large it is and you can see what we are seeing on the horizon to the east from here. We saw a triangle (1/2 to 1 mile wide) in 2003, missed catching it on camera and now I have a camera near me since then and I’m always looking up. Air or UFO phenomenom over Mexico?